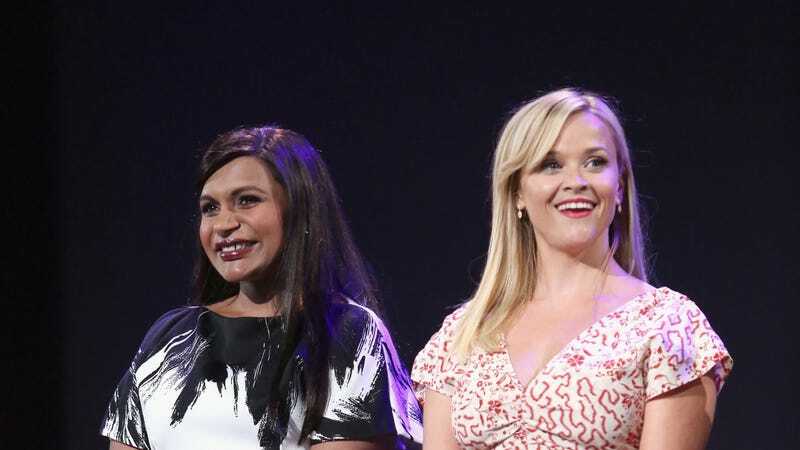 Mindy Kaling’s The Mindy Project has scooped up a big-name guest star get for its upcoming final season, with Variety reporting that Kaling’s A Wrinkle In Time co-star, Reese Witherspoon, has signed on for an episode of the show. Kaling broke the news via Instagram, reflecting on the fact that Witherspoon is the only person with whom she’d ever want to be trapped in a cave. The Witherspoon nod puts The Mindy Project in pretty rarefied sitcom company; the actress’ previous TV work includes The Simpsons, King Of The Hill, and Friends, plus her starring turn in HBO’s critically beloved Big Little Lies. Witherspoon also plays the Mrs. Whatsit to Kaling’s Mrs. Who in Ava DuVernay’s Wrinkle, which arrives in theaters next March.